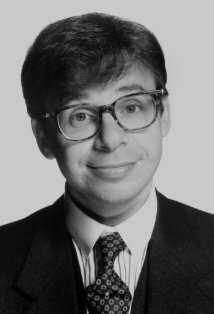 A few months ago my boyfriend and I were sitting around on a weekend when one of us pondered the question “Whatever Happened to Rick Moranis?” I’ve already shared I watch a lot of TV and movies, but neither of us could really recall seeing him in anything in a while. Maybe we hadn’t been paying attention? I get a lot of grief for my iPhone addiction, especially when combined with AT&T service is often less reliable for making calls than my boyfriend’s ancient Verizon flip phone. My phone is often a glorified calculator and flashlight in places where his phone still has full service. But when it does have service, the handy access to answers like this are incomparable. When you have to know, you have to know. I’ve always thought the Internet Movie Database (IMDB) was a valuable resource, but their IMDB iPhone application has proven to be an excellent shortcut to looking up information quickly. Going to the phone, we were shocked to find that Rick Moranis is actually retired, and it’s a bit of a sad story. Well, at least we know he’s still out there!